Notices of Pendency of Action are governed by Section 405 of the California Code of Civil Procedure. This Code section sets forth the procedure for filing a Notice against a parcel of real estate. Other Code sections specify the circumstances in which a Notice may be filed. These include: commencement of an action for quiet title, eminent domain, lost records, or partition; in actions to abate public nuisances; in escheat actions for estates with no legal heirs; at the start of forfeiture actions for criminal profiteering activities upon the land; and many other circumstances in which legal interests in the property must be determined by a court. But what if a Notice of Pendency of Action has been wrongfully filed against land that you or your company owns? This improper Notice creates a cloud on the title, which can prevent you from selling or otherwise exercising ownership rights in the land. 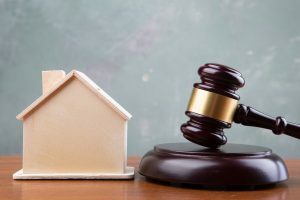 In some cases, a real estate attorney can resolve the mistake with the other party or its attorney, and the other party will remove its recorded Notice voluntarily. In other cases, the other party refuses to do so, and the rightful owner must file a lawsuit (or file a motion within the already-existing lawsuit) in order to resolve the matter of the Notice. In either case, the issue will be resolved faster and cheaper with an experienced real estate attorney handling the matter. At the Structure Law Group, our highly skilled real estate attorneys have extensive experience in making deals and adding value for our clients. We will ensure that you get the best real estate deal possible while protecting your legal interests, as well. Call (408) 441-7500 or email slgadmin@structurelaw.com to schedule your consultation with an experienced California real estate attorney.